What is a Challenge City? Challenge cities are cities with populations greater than 1 million that are committed to improving access to quality cancer treatment and care through a multi-sectoral approach. Why become a Challenge City? 14 million new cancer cases are diagnosed each year globally, and 8.8 million cancer deaths (more than HIV/AIDS, malaria and tuberculosis combined). These figures are projected to rise rapidly over the next 10 years, together with the devastating social and economic costs of the cancer epidemic – particularly in low resource settings. With 54% of the world’s populations already living in urban environments, cities offer a critical opportunity to expand access to health services, including cancer quality cancer care for large numbers of the population in a sustainable way. 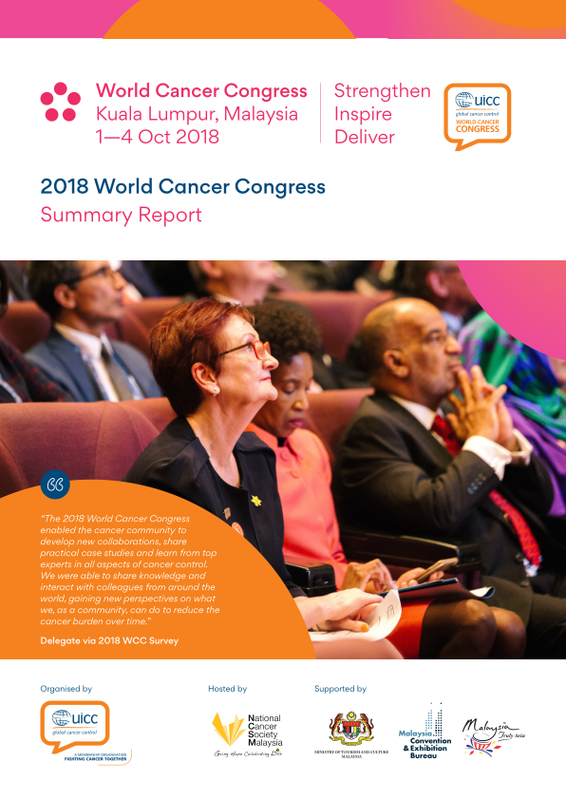 The global community has committed to reduce premature deaths from non-communicable diseases (NCDs) by 25% by 2025 and by 33% by 2030 (Sustainable Development Goal 3.4), but, to date, much of the effort to reduce mortality has focused on addressing shared risk factors for cancer and other NCDs. City Cancer Challenges’s focus on treatment and care is underpinned by the recognition that even if we are able to reduce all cancer risk factors, there will still be a growing number of cancer cases over time that must be tackled, and is closely aligned with priorities identified by governments from all over the world in the recently adopted 2017 World Health Assembly Resolution on Cancer. By raising the profile of cancer in a city, we see City Cancer Challenge as a trailblazer initiative that can catalyse a more general response to cancer and NCD prevention and control, including addressing prevention, screening, and general awareness. City Cancer Challenge will be using data generated through the MEL framework to identify opportunities for city-to-city exchange and learning, and common themes to be addressed through regional learning workshops. Case studies and best practice guidance will be used to showcase activities that have effectively brought about desired change, as well as highlighting common challenges. 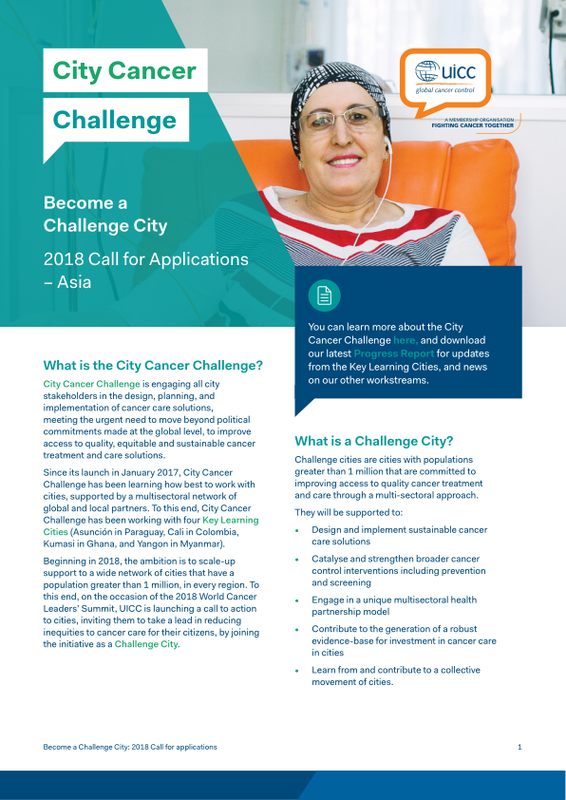 Aside from identifying gaps in access to cancer care, the City Cancer Challenge needs assessment process is also key to underlining areas of strength, high capacity and innovation in a city (regardless of its size, region or income setting) that can be shared, and used as a learning opportunity for other cities. 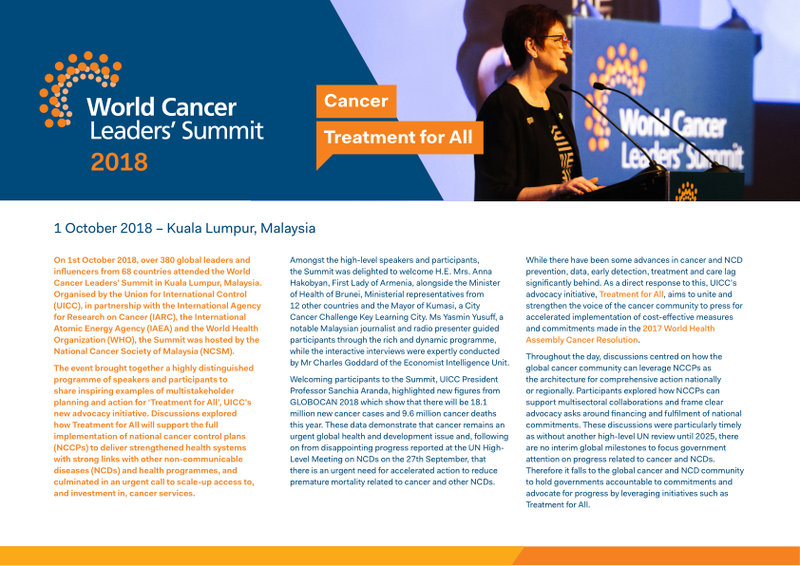 Challenge Cities will have access to a suite of capacity building and convening opportunities including the World Cancer Leaders’ Summit and World Cancer Congress. Download our 2017 Annual Report to read about examples of city-to-city learning already taking place in Latin America. City Cancer Challenge is mobilising and engaging a truly multisectoral group of stakeholders, that provide expertise, in-kind and financial support during all phases of the initiative’s design, development and implementation at global, regional and city levels. Key partners of City Cancer Challenge represent stakeholder groups essential to the success of the challenge, including NGOs, professional associations, UN agencies, bilateral and multilateral agencies, private companies, governments and city leaders. City Cancer Challenge partners include Access Accelerated (representing 24 global biopharmaceutical companies) AdvaMed (representing Varian, Elekta and Accuray), the American Society of Clinical Oncology (ASCO), American Society of Clinical Pathology (ASCP), Amgen, Direct Relief, Icon Group, Sanofi Espoir Foundation, the National Cancer Institute - US, the University of Pittsburgh Medical Center (UPMC), the World Bank and the World Economic Forum. City Cancer Challenge has developed a robust Monitoring, Evaluation and Learning (MEL) framework to systematically collect and analyse data to track our progress, lessons learned, and measure impact at the city and global levels. 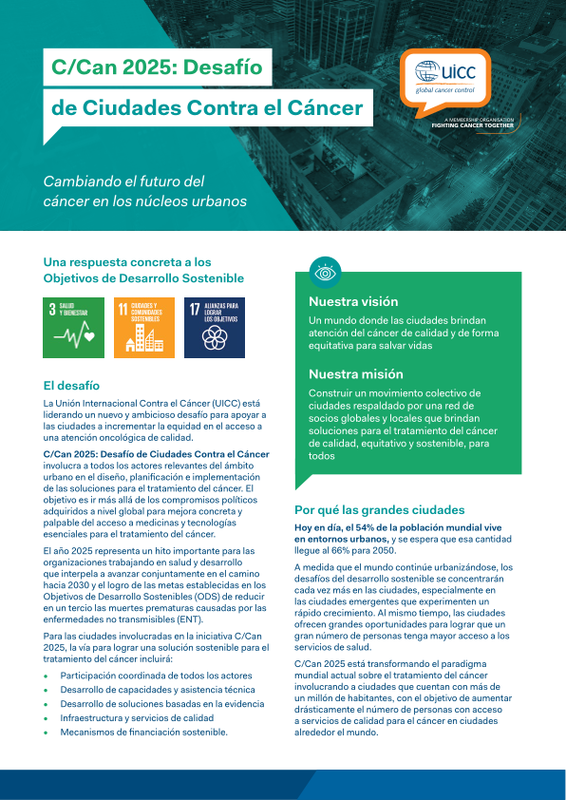 This information can be harnessed to support the case for further investment in city solutions for cancer care, and create a sustainable pathway for continuous improvement based on the experiences of people at the core of delivering cancer care in their cities. Challenge Cities will be supported to develop and implement their own MEL frameworks, which will also feed into the initiative’s global monitoring and evaluation efforts. Challenge Cities will be supported to develop and implement their own MEL frameworks, which will also feed into the initiative's global monitoring and evaluation efforts. How to become a Challenge City? Please note that a maximum of 4-6 Challenge Cities will be selected in 2019.